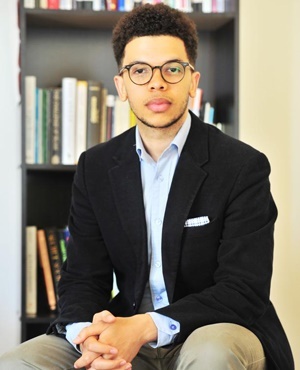 “Aluta continua” are the opening words of Sizwe Mpofu-Walsh’s latest hip-hop video in his campaign against what he sees as the ANC and President Jacob Zuma’s mismanagement of the country. The struggle, he says, is far from over. Drenched in #FeesMustFall footage, referencing Marikana, Zuma and Jesus, and including footage of Higher Education Minister Blade Nzimande behind the parliamentary fence, the video for his new song, State Capture, was released online on Thursday. “I never thought I’d see the struggle moving backwards/ Don’t get me started on the struggle for the land and/ Don’t get me started on this government of bandits,” raps Mpofu-Walsh. City Press spoke to the academic rapper in Oxford in the UK, on the phone this week. This year, he’ll be posing a triple threat – he’ll complete his doctorate on Africa and nuclear arms, publish his first book – he won the 2016 City Press Tafelberg Nonfiction Award – and release his first rap album. The son of Economic Freedom Fighters national chairperson Dali Mpofu, Mpofu-Walsh is conducting his career differently from his South African hip-hop contemporaries, who write about bootylicious babes, swag and making rands rain in the club. “Hip-hop is activism,” he says. “Hip-hop and politics are kind of the same thing: the use of rhetoric to get your point across,” he says. “Over the past few years, hip-hop has really blown up in South Africa. His album, Democracy and Delusion, is doing well, he says. He will be releasing it in August, at the same time as his book, which has the same title.